We are a friendly company of amateur singers from all backgrounds. You don't have to be able to read music, or ever have sung in public before. We'd also love to hear from you if you want to help out behind the scenes – building the scenery and managing the stage on show night are just as important! We meet on Mondays between 8pm and 10pm at Hartley Hall, Flower Lane, Mill Hill, NW7 2JA (see map right). As we approach show week we also meet on Wednesday evenings 8-10pm. A membership subscription is payable per show by all cast members. Interested? 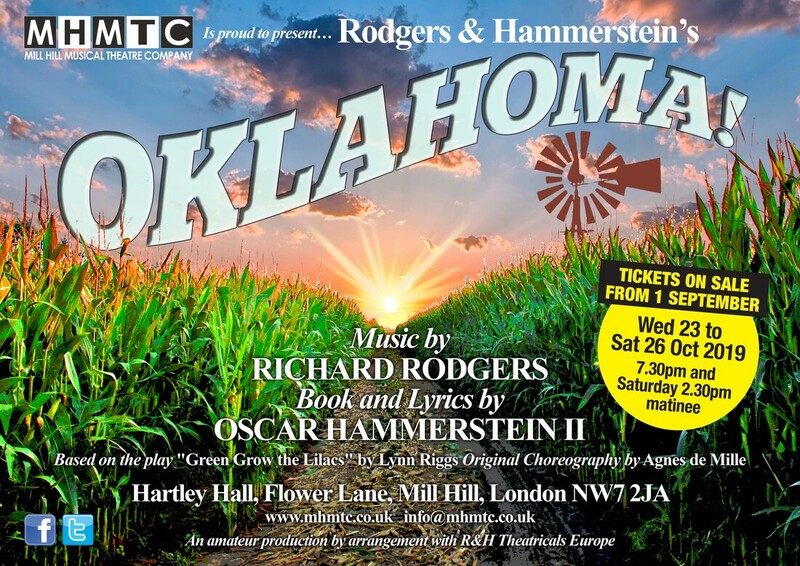 E-mail us or just come along to a rehearsal – we'd love to see you!